ADM Investor Services provides more than 265 Introducing Brokers with a wide range of exceptional support in an environment of great financial stability and unwavering business ethics. Our services and operations are continually updated to ensure that IB’s who choose us as their clearing partner enjoy the latest in technology, research information, execution, clearing and back office support available in our industry. 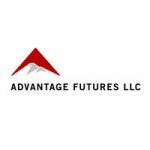 Advantage Futures was founded on the principle that every client should receive the highest level of personalized service, advanced technology, responsive risk management and customizable back office operations. This principle has allowed us to build a strong client base consisting of individual traders, proprietary trading groups, IIBs, CTAs, Hedge Funds and institutions. Advantage Futures ranks among the highest volume clearing firms in the industry, processing over 4 billion contracts in our fifteen-year history. Advantage delivers value by providing technology-driven solutions with robust and redundant network infrastructure to an evolving client base. Please contact us to discuss ways Advantage can deliver value to your business. 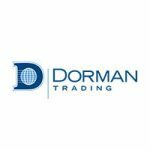 Dorman Trading is dedicated to providing our Introducing Brokers with the same personal attention and service that we offer to our professional floor traders. We believe that the relationship between the FCM and the IB is a partnership, not a competition. We look forward to building a partnership with you. Introducing Brokers are core to our business model at GAIN Capital. GAIN Capital is positioned to provide the execution, clearing and customer service you require. With GAIN Capital, you not only have an FCM focused on your overall success, but also a dedicated Broker Representative who will provide personalized attention and address all of your operational needs. 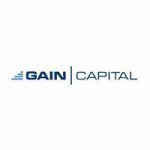 To meet the challenge of today's trading industry, GAIN Capital has invested considerably into planning, development, infrastructure, partnerships and service. We provide fast, reliable and secure execution and clearing operations to enable you to spend less time managing your back office and more time managing your customer relationships. FCStone, LLC combines expertise in Global Clearing and Execution, with the professional level of support and service our IB, Hedge Fund, and CTA clients expect and deserve. We value our relationships and would appreciate the opportunity to grow futures and/or forex business with you. 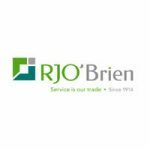 R.J. O’Brien supports Introducing Brokers with superior technology, intelligent market research, transparent middle-office tools and personal service. The IB business is the heart of our brokerage operation, and our industry reputation for servicing these clients is stellar. We understand what IBs need to support business success, no matter if your clients are speculators or hedgers. Both you and your clients will appreciate the comprehensive set of tools built specifically for futures traders. 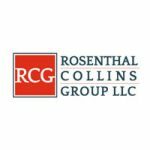 RCG offers a full range of services including execution, clearing, foreign exchange and managed futures to clients worldwide. We have over 200 brokerage partners and each is provided a dedicated account liaison. We provide customizable technology solutions to fit your needs and will collaborate with you to exceed your expectations. 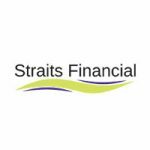 Straits Financial LLC self-clears the Chicago Mercantile Exchange, Chicago Board of Trade, Comex, Nymex, Clearport, Dubai Mercantile Exchange, New Zealand Exchange, CBOE Futures Exchange, Nasdaq Futures Exchange, and the Options Clearing Corporation. Along with our sister companies and our global partners, Straits can facilitate your trade execution and clearing of exchange-listed futures contracts. Our parent company is the publically listed, CWT Limited. We offer superior customer service, multiple front-end electronic trading platforms, real-time risk management and fast account approvals. Introducing Brokers are welcome at Straits. We also offer our brokers and customers additional support with physical product financing through Straits Trade Solutions (STS) and for managed futures, a professionally managed commodity pool offered in two feeder fund structures traded through Straits Financial Premier Fund I, Ltd., and three new Commodity Trading Advisor Programs from Straits Financial Managed Futures LLC. 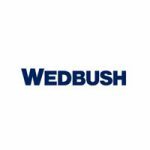 Wedbush Futures focuses on building services and support to help our IB network participants grow their business. With access to the major global futures exchanges through a variety of front-end systems Wedbush provides IB ‘s with self-directed trading solutions and robust risk management tools.